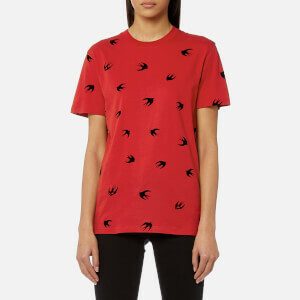 Men’s ‘Mad Chester’ T-shirt from McQ by Alexander McQueen. 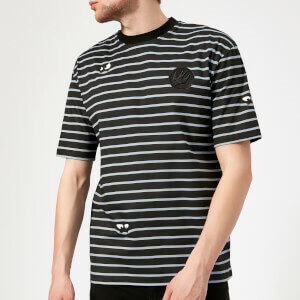 Crafted from ultra-soft cotton, the striped tee features a solid colour crew neckline, short sleeves with dropped shoulders and a straight hem. 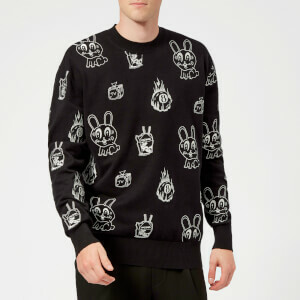 The monochrome T-shirt is completed with a printed motif of the brand’s monster character, which is inspired by Manchester’s music and club scene of the late 1980s.